Al Qaeda has lost its leader, but Osama bin Laden’s deputy is in some ways better organized and more inclined to use violence to continue its mission of global jihad, experts said Monday. “He’s much more powerful than bin Laden as a leader — much more organized,” said Dr. Tawfik Hamid of the Virginia-based Potomac Institute for Policy Studies, who said he knew Al-Zawahiri when both were in the radical Islamic terror group Jamaa Islamiya in Egypt. “When you listen to him, you can tell clearly that he has the ambition and is dedicated 100 percent to achieve this mission,” said Hamid, who said he now views Radical Islam as a threat in need of reformation. 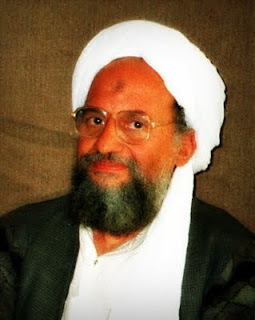 Al-Zawahiri’s hatred of the West has only increased since his early days as an Islamic radical. Some of his six children are believed to have been killed as they fled Afghanistan in the early weeks of the U.S. invasion.